High end interior design and home furnishings business located in Stuart, Florida. 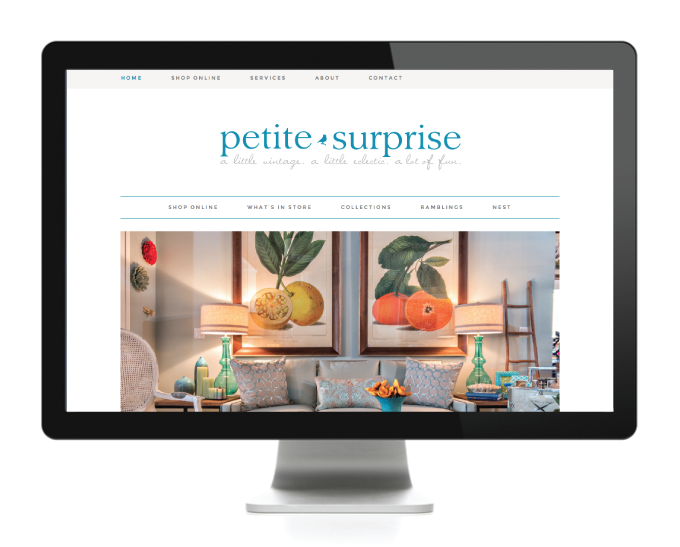 Petite Surprise is a home furnishings store located in Downtown Stuart that offers interior design services. The website needed a facelift so we worked together to make it beautiful with soft colors, gorgeous imagery, and better navigation.